How do you hire good talent? For a moment I would like to look at the bare bones of this question. How do you hire good talent? I am not saying these three items aren't important, I am simply asking you to put those aside for just a moment. Why in the world would I do anything like that? Don’t those pieces of information separate the qualified from the less skilled? The answer to this depends on what level of authority the potential hire will have. You are looking for an entry-level office assistant. You use your method of attracting candidates and gather resumes. With these resumes you whittle them down until you have your stack of favorites. You re-evaluate that stack by getting advice from your peers, checking out candidates' social media pages, and again review the resumes. You then call them, tell them you have reviewed their resumes and would like to set up a time to meet with them. Ok, I will admit, I do that too. But the next step is where it all goes wrong. I will continue. As the candidates come in for the interview you sit them down and take a small-dedicated amount of time to decide if the candidate qualifies for the job duties you are looking for. You ask them about previous jobs, you ask them about where they are from, you ask them about their education and if you are in the mood, you might even ask them why they are qualified to take on this new position. All those are good starting questions, right? NO. They are horrible questions. The fact is the answers given don’t really matter. Do you really care what high school or college they went to in this scenario? 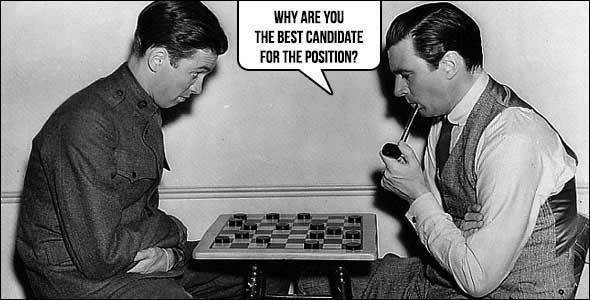 Will the answer really kick that candidate out of the running? You would have been better off playing a game of checkers with this candidate and watch how they think. Focus on their behavior and start up some small chat. What we are all after is a good candidate that will complement our environment. Teachable or Taught: What Are We After? Certainly we are all teachable. We can teach new hires how to use phones, processes, systems, engineering, and the list goes on. But when hiring good talent it's the list of traits we cannot teach that we are all truly after – traits that make all the difference in the workplace – like character, work ethic, punctuality, attitude, etc. We want to hire an employee that will jive with everyone and get along. A well-educated, experienced person that does not feel comfortable in your environment will not last long. A person who is willing to learn and who meshes perfectly with the rest of your company will be a much better hire. I have hired many with experience that don’t enjoy or last at the job. Why? They bring past experiences or education that didn't necessarily coincide with the new experience. In addition, that made them less teachable. They knew it all, they had been trained and had a way of doing the job. I have also hired those that complemented the company, but needed a bit more training with the job duties – and these people thrive. They are being taught the way the company wants things done. The employee recognizes that they don’t know it all so they come in teachable. The past experience did not engrave a way of doing things. For most positions hiring to complement far outweighs the traditional hiring methods. Does this work when hiring a CEO or upper management? No! However, most of the jobs we hire for are not for these positions. The majority of the jobs we hire are for complementary openings. Next time you look for an employee ask yourself if they complement your environment. In the interview let them meet the team of people they'll potentially be working with, and get the team’s perspective. Hiring good talent requires you to get to know the candidate and allow that person to chat it up with those he or she will be working with. Make a decision on what a person's behavior tells you not what the piece of paper tells you and you will be well on your way to consistently hiring good talent for your business.